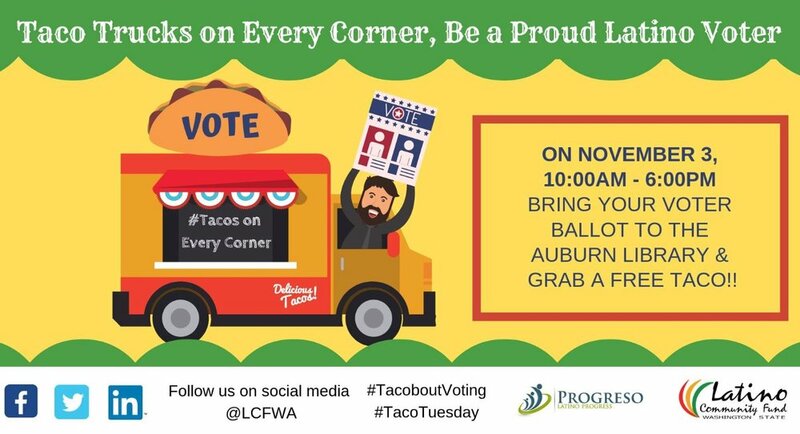 Bring your ballot to the Auburn Library, drop it off in the ballot box outside and a receive a FREE taco! #TacoaboutVoting Don't forget Election Day is on #TacoTuesday, November 6th! *Come early to get your taco before they are all gone! We need volunteers to also canvass, sign-up to help us canvass!